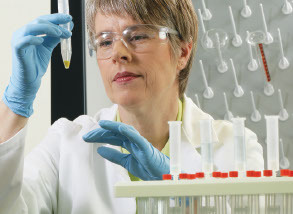 Identify elemental composition and contaminants in human, environmental and industrial applications while optimizing production processes and laboratory workflows. Benefit from unmatched breadth of expertise in elemental measurement and a focus on increasing analytical ease-of-use to help optimize workflows and reduce costs. Whether your task is to keep hazardous materials out of circulation, or to confirm uniform composition and process efficiency, our instruments combine the performance and robustness required to deliver confident results.